Contextual advertising is a strategy to place targeted advertisements on selected sites depending on the identity of the user and content displayed on the website. The advertisements are fed to an automated system that changes them as the visitor goes through the page or shows interest in the advertisements. The contextual advertising software scans the website that the targeted user is reading for the relevant keywords as displayed by the advertisements. It then matches the keywords to the relevant ads. The advertisements are displayed either as pop-up ads or on the web page. For example, if you are viewing kitchen equipment advice on a web page with contextual advertisement system, the ads that you shall see relates to the equipment. Leading search engines also use contextual ads to display ads based on the user’s query. You can use contextual advertising to reach out to your potential clients. The method delivers qualified leads, as they are people who are already searching for brand-related information. You decide on the keywords to be sought for such an ad. This makes your advertisement efforts cost-effective as you are only charged when the ads are displayed. Several companies offer contextual advertising. However, the leading one is Google AdSense. Others include Yahoo! Publisher Network and MSN AdCenter. The Google AdSense advertisers are selected from a long list of advertisers who have registered through AdWords. Then, a Google bot indexes the content of the page for use in selecting the ads. 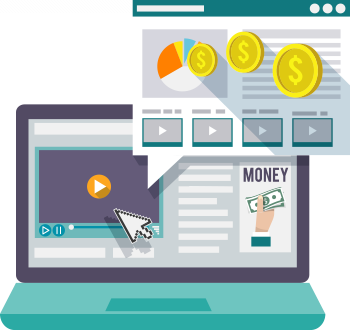 Other service providers have come up with advanced algorithm to increase their accuracy when matching ads to the content of the website; such networks include Media.net. At Cancron Inc. We help in creating contextual ads and identifying the service that you will use for your advertising plans. The main components of the advertising plan include the creation, planning of areas and duration that the ads will run and identification of the way to pay for the advertisements. The contextual advertising technologies change from time to time. We are always upbeat with the new and better advertisement technologies, especially where we find that our clients would benefit. We are currently looking at new technologies such as in-text video contextual advertising especially on the viral videos. The development of artificial intelligence is also expected to boost the accuracy of the contextual ads that reach the users of the site. It is now possible to determine the best ads given the movement of the cursor across the website. Contextual ads also make mobile advertising easier while not lowering the user experience. Are you looking for increased traffic or more of the qualified leads to your site? Think contextual advertising. Our digital marketing professionals will help you through the planning and budgeting of the ads. We also have tools to help you measure the effectiveness of the campaign. This mode of advertising will give you a high ROI and boost your online presence across the target market. It is also easier in that you do not have to create content for the advertising purposes but uses the already developed content.